I’ve been posting about stars lately. Yesterday I talked about how to build a better model star. So far, however, I’ve assumed the star wasn’t rotating. Usually this isn’t a problem since many stars rotate fairly slowly. Our sun, for example, has a rotational period of about 25 days (though it varies a bit by latitude). At that speed you can usually ignore its rotation. But some stars such as Regulus rotate very quickly. 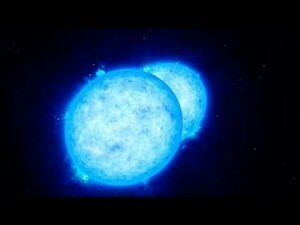 These stars rotate so fast that they bulge out along their equator. 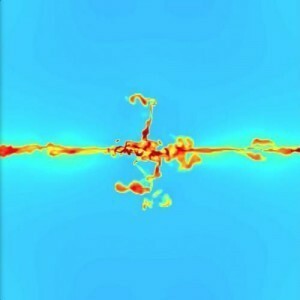 Of course this raises an interesting question: what is the fastest rate a star could rotate? Answering that question isn’t easy. To do make a good model you’d have to account for the varying density of the star, which would effect the rates of fusion in its core, and you could even have differential rotation, where different latitude (and even different depths) rotate at different speeds. But we can at least attempt a simple model. So suppose we go back to our basic hydrostatic model. Then all we need to consider is hydrostatic pressure, gravity, and rotation. Not a great model, but fairly easy to do. 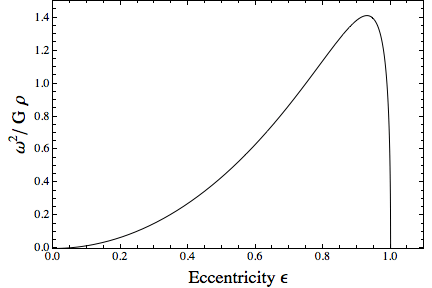 In the figure above, I’ve plotted the eccentricity of the star (how much it is distorted from a sphere) versus its rate of rotation. The distortion depends upon its density (more dense stars distort less), so I’ve factored that in as well. The graph shows a maximum rotation when the star reaches an eccentricity of about 0.9. Which is fairly flat. 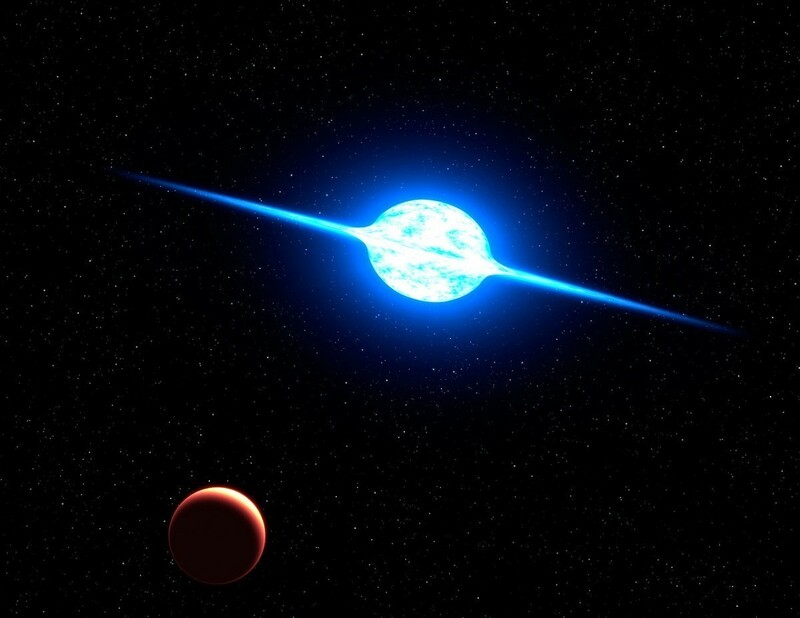 The star Achernar has an eccentricity of about 0.8, which is the most rotationally flattened star we’ve observed. It would seem that our model is at least in the right range. Once again, simple models FTW.